An acute ischemic stroke, or cerebral infarction, occurs when one or more of the arteries within the brain or neck become blocked. This results in decreased blood flow to part of the brain and can result in cell death, permanent disability, or death. Ischemic strokes are a leading cause of disability and mortality in the United States. Computed tomography, or CT scans, can be used to diagnose ruptured brain aneurysms. CT scanners use a series of x-rays and powerful computers to create 2 and 3-dimensional images of the body, including the brain. A related technique called CT angiography, or CTA, adds contrast dye injected through an IV line to highlight the blood vessels within the brain and neck, which allows radiologists and neurosurgeons to better evaluate blood flow and areas of blockage within the brain. 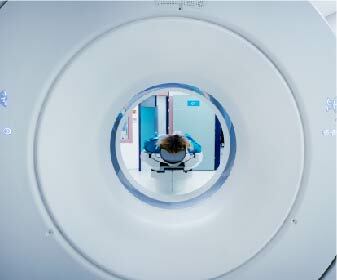 Magnetic resonance imaging, or MRI, is another important tool for diagnosing and following strokes. MRI uses a powerful magnetic field to produce images of the brain. MRI does not use or produce radiation and therefore is not associated with radiation risks or effects. A special form of MRI known as MR angiography, or MRA, is often used to diagnose strokes and allows physicians to better evaluate the arteries within the brain. Cerebral angiography is the gold standard for the diagnosis of brain aneurysms and is often used in the treatment process. In angiography, a special dye is injected through an IV line, and x-rays of the brain are taken at multiple angles in order to see precise detail of the arteries within the patient’s brain. Angiography is usually performed by a specially trained neuroradiologist or neurosurgeon. How do we treat a stroke? Strokes are best treated by a multidisciplinary team including emergency physicians, neurologists, radiologists, and neurosurgeons. Time is of the essence in the management of strokes, and protocols have been developed to promote efficiency in this process. The slogan, “Time is brain,” truly applies, and the goal of treatment is to restore blood flow to the affected part of the brain as rapidly as possible before cell death occurs. Depending on the timing and location of the stroke and the patient’s overall health, this can be accomplished in several ways, including anti-clotting medications such as tissue plasminogen activator (tPA), thrombectomy, or stenting. Occasionally, open surgery is required for severe strokes if a large amount of bleeding occurs following the stroke or if there is high concern for such bleeding. Endovascular mechanical thrombectomy is a minimally invasive procedure which involves placing one or more catheters in a patient’s groin to remove the clot that is blocking blood flow. This procedure is performed with the use of cerebral angiography. 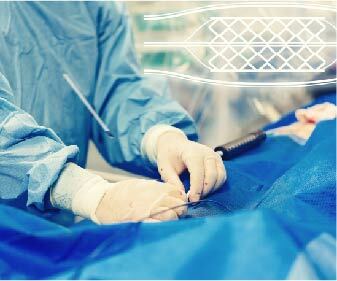 The clot can either be removed directly using small tools in the artery, or the artery can be reopened through the deployment of a stent at the site of the clot.